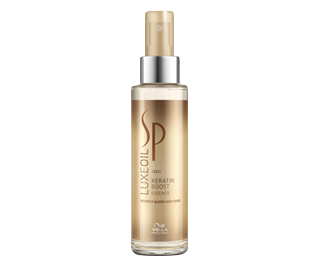 System professional Luxe Oil uses a reconstructive Transform Technology that benefits hair inside and out, while protecting it from damage. Hair texture feels up to 10 times smoother after just one application. * 3 times more Keratin Protection, providing instant and long-lasting, smoothness. ** Leaves hair looking healthy and naturally beautiful. Hair is easy to style every day, thanks to a special, lightweight oil formula. * vs. low-conditioning shampoo. ** vs. untreated hair. This lightweight formula shampoo sets the foundation for a transforming hair service. This luxurious leave-in Keratin treatment contains formula with oils and selected amino acids which boosts the hair structure from within. The treatment infuses into the hair to reconstruct and strengthen the keratin, instantly aligns hair fibers and builds resistance for weak hair. 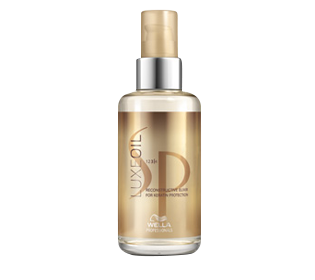 The lightest form of oil available, perfectly suited for finer hair. Leaves hair nourished and radiant with a non-greasy finish. Adds shine and a soft touch to the finished result. Instantly softens hair surface.